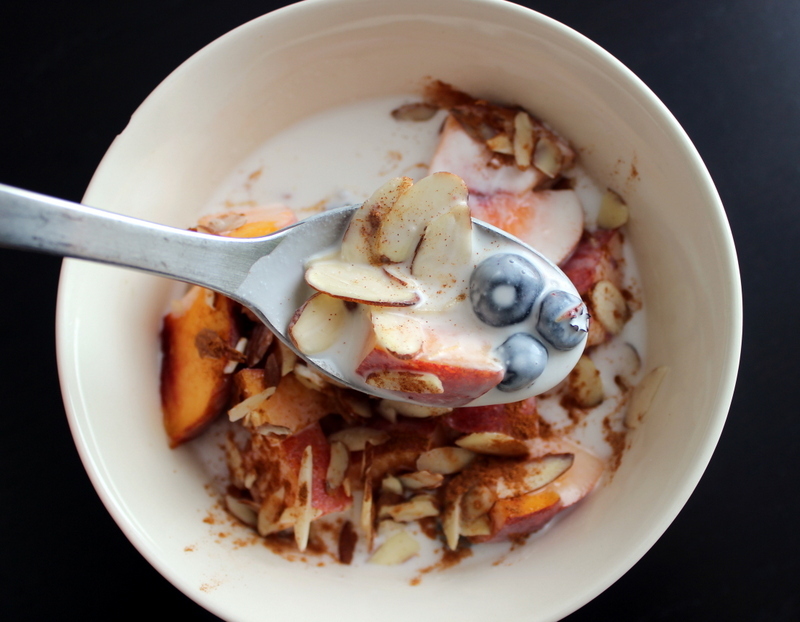 Next time you’ve got a hankerin’ for a little sweet treat, toss some fruit in a bowl (my recent faves are blueberries and peaches), pour full-fat coconut milk over it, top with some slivered almonds and a healthy sprinkle of cinnamon. What a great idea! Thanks for sharing. I was thinking that was grain-free granola and you got my mouth watering. Any excuse to eat fruit is a good one for me.